Patients with a lidocaine allergy can receive alternative agents to achieve proper anesthesia. I am always looking for new and intriguing ideas to use while practicing medicine in the emergency department. Recently, I had a patient who needed an incision and drainage performed, but the patient was allergic to lidocaine. Abscesses can be extremely uncomfortable and providing this patient with as much relief as possible was very important. Therefore, I did research to find alternatives and found an interesting article from The Journal of Clinical and Aesthetic Dermatology. This article addresses different ways to approach a patient who is allergic to certain anesthetics. In particular, I was interested in what the article had to say about patients allergic to lidocaine. 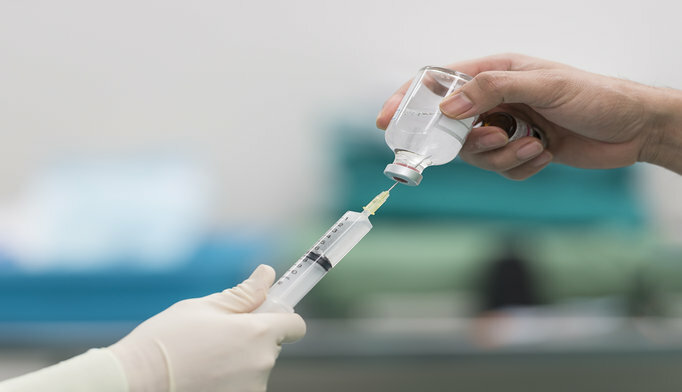 As mentioned, lidocaine allergies are very serious and can present an issue when people need to be anesthestized for procedures like lacerations and abscesses. When instances like this occur, using diphenhydramine can be a satisfactory alternative. According to the article, using a local injection of 1% diphenhydramine can anesthetize up to 80% of people within 5 minutes and can last between 15 minutes and 3 hours. To obtain the appropriate concentration of 1% diphenhydramine, the article recommends discarding 10 cc of normal saline from a 50 cc vial and then injecting 10 cc of 5% diphenydramine into the remaining saline. This results in a 1% concentration. You should be mindful that you are injecting a differing anesthestic, which could lead to differing adverse drug reactions. In particular, the article warns of driving precautions for patients who have been injected with more than 2.5 cc of diphenhydamine. In addition, weight-based dosing should be used when administering this medication to small children, and patients with acute angle closure glaucoma should not receive diphenhydramine. In conclusion, when patients present with a lidocaine allergy, there are different options that can be used to achieve proper anesthesia. Anesthetics that belong in the ester group can be used if patients know they are allergic to lidocaine or another amide medication. If they are unsure, using diphenhydramine can provide adequate relief as well. After finding this article, I look forward to using these methods to help patients have a more comfortable experience if they undergo a potentially painful procedure in the emergency department. Pavlidakey PG, Brodell EE, Helms SE. Diphenhydramine as an alternative local anesthetic agent. J Clin Aesthet Dermatol. 2009;2(10):37-40.